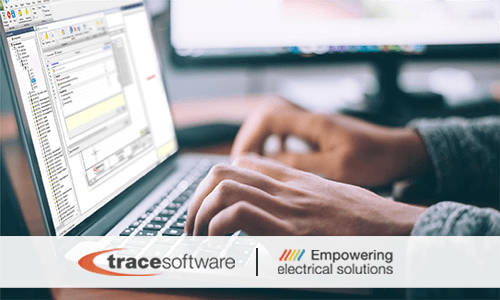 Trace Software International, with a unique passion for the design of high-performance software solutions for electrical engineering since 1987, announces that elecworks™ 2019 is available on the market from October. New options have been added to the user interface to increase the interactivity. The complete interface has been updated with the new icons. Now ribbons, menus, dockable panels, etc will have brand new icons. The newest icons guarantee an even better interactivity. Its new interface, compatible with the 4k resolution, will allow the user having a better resolution and a sharper view. With this new version, the user will be able to choose the units to display wires, cables, and manufacturer parts. The dimensions can now be displayed in millimeters or inches. This new option will help companies in the internationalization of their projects. In the project configuration dialog box, the button “Apply” has been added. The user can save the parameters and see the changes without exiting the dialog box while saving time in the configuration of the project. New features and enhancements have been added to allow a faster and smarter project design. It is possible to insert the macros directly from the menu. A new command to insert a macro has been added in the schematic and in the line diagram menus. This new command allows saving space on the screen, hiding the macros palette and improving ergonomics since there is no need to change the PC screen. Accessible from the drawing properties dialog box, the users can now change the type of drawing. A schematic or line diagram drawing can be converted into a mixed scheme drawing, saving time by avoiding to re-design the scheme or duplicate the drawing. A new command allows to go from the contextual menu of the list of circuits to the drawing, now user can open the drawing in which the symbol representing the I/O is inserted. This means an important improvement in terms of usability for the user. A specific improvement has been developed in the archive command. The user will find now a new wizard to manage the external files to store when archiving the projects, like 3D files, images, etc. This will help the users to keep projects and all documents related archived. A “Go to” command is added on the contextual menu of the component in the wiring cabling order dialog. It will be helpful for identifying and detecting possible errors and find out the component quickly in the scheme. A new parameter has been added to the project configuration dialog. From the 2019 version, users can choose the priority for renumbering components. This choice can be between multiwire symbols and line diagram symbols. Thus, the user can assign the priority to components inserted in different types of drawings. This is especially useful for those users that include the drawing number in the component mark. In this way, they can define the drawing where the multiwire symbol is inserted. New parameters have been added to the connector configuration. Dynamic connectors can be customized from the shape, break, and position of the connection poles, giving the user more flexibility to create connectors according to needs. * Available only in elecworks™ Onboard licenses. Now it is possible to insert the project macros and the specific schemes from a project through the XLS Automation command, reducing the number of macros needed for the automation projects. A greater usability to get the information needed. Newest views have been added to the report database, helping to create complex relationships between tables for new reports. Reports customization is now easier than ever and without any SQL advanced knowledge requirement. The new hyperlinks allow the user to navigate to the different parts of the project in an easy and practical way straight from the report. Links are automatically generated in the reports drawing. The user can now navigate to a drawing, function or location amongst others from the reports drawing. The super parts are now named “Electrical Assembly”, the special component that gathers various references under a unique material reference and its management have been improved. In addition, they can be now stored in the project, allowing listings of materials grouped by assemblies or equipment. Now you can customize what information to show in the connection points and attributes of the black boxes, parameterizing the values according to templates and clients. The full list of the new features and improvements of our 2019 version is available in the Help menu or by pressing the F1 key. 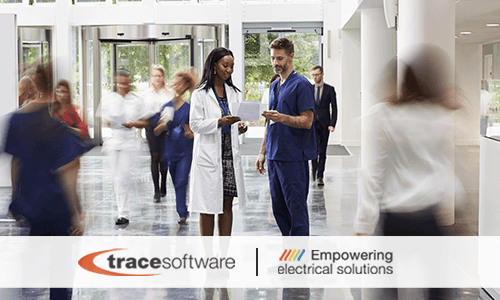 https://www.trace-software.com/wp-content/uploads/2018/11/elecworks™-2019-by-Trace-Software-International-1.png 300 500 Rossana https://www.trace-software.com/wp-content/uploads/2015/04/logo-home-ts.png Rossana2018-11-26 16:25:132018-12-06 09:33:14elecworks™ 2019: what is new? The symmetrical component method used by elec calc™ for the calculation of short-circuit currents allows a very accurate calculation of these currents according to the characteristics of each motor and this at every point of the installation, and for each of the operating scenarios described in the project. In order to meet these requirements, some guidelines (PD CLC / TR 50480 or FD C 15-500) provide a comprehensive approach that leads to increasing the maximum short-circuit currents of the plant as a function of the ratio of the total power of the motors running simultaneously and the total power of the sources. This approximate approach is, of course, conservative and fastidious to implement if the installation comprises several operation modes with different sources. 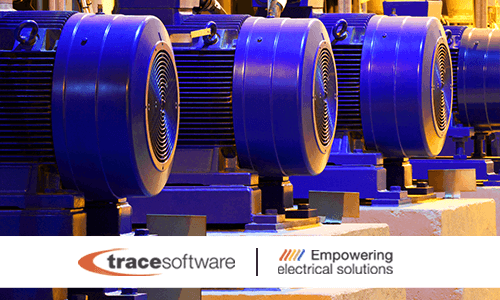 To overcome this difficulty and improve the accuracy of the results, elec calc ™ 2018, thanks to its real-time calculation possibilities, offers the user the choice for each motor whether or not it participates in short circuits. Industry 4.0 is the new chapter in the history of the industry. The term of the industrial revolution, used to refer to the entire transformative process, highlights the disruptive power of changing paradigms within the entire ecosystem of organizations. Industry 4.0 is the new industrial panorama, and it has to do with the convergence between the physical and the digital world. But not only. The first industrial revolution changed the agrarian structure of society through the mechanization of the manufacturing processes. This was the time of the steam machines, for example. The organization of work changes considerably with the rise of the factories, which imply a specialization of functions. The second industrial revolution is very often conceived as the logical extension of the first phase. The era coincides with a myriad of technological and scientific innovations able to grow exponentially industrial production. The assembly line, the electricity, and the railways are some of the great inventions of this time. The so-called mass production generated changes in society’s consumption patterns. The third revolution witnesses the development of the first programmable logic control and mainly celebrates the advent of electronics and information technology to automate production. 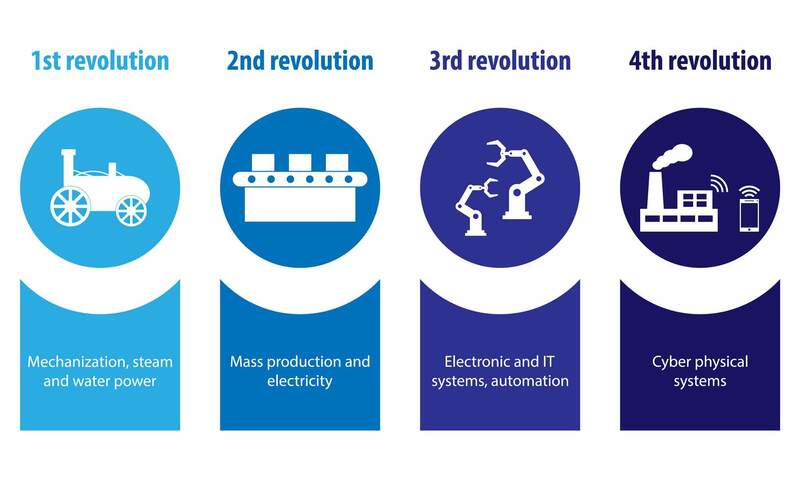 Industry 4.0 marks the fourth revolution in the industrial history and inaugurates a new era for the entire manufacturing ecosystem, from design to end-customer. Also known as Smart production or Smart Manufacturing, industry 4.0 refers to a scenario of interoperability where people, devices, and machines of the entire value chain can connect and communicate with each other. The flow of information, which is generated in this interactive structure, is crucial in industry 4.0. In fact, interconnected technologies devices relate to each other, collect and analyze data to generate information for the advanced analytics of the process. These insights will be used to spur actions in the physical world. “In other words, Industry 4.0 is a state in which manufacturing systems and the objects they create are not simply connected, drawing physical information into the digital realm, but also communicate, analyze, and use that information to drive further intelligent action back in the physical world to execute a physical-to-digital-to-physical transition. The result is a more flexible system capable of adapting to and learning from changes in the environment.” Deloitte. Linear processes are now a thing of the past and business success will depend on the ability to strategically manage this immense volume of information in order to drive future action. Operators can, therefore, make strategic decisions in real time, analyze the processes and adapt them according to needs, design the products or services, or the way in which they are developed, coherently allocate resources, rethink on how to manage inventory or personalize the customer experience. Industry 4.0 represents a great opportunity for companies as it gives access to a horizon of possibilities to increase the organization’ benefits by optimizing the overall performance of the value chain, reducing risks, improving the time-to-market, gaining more flexibility, driving innovation and not only. 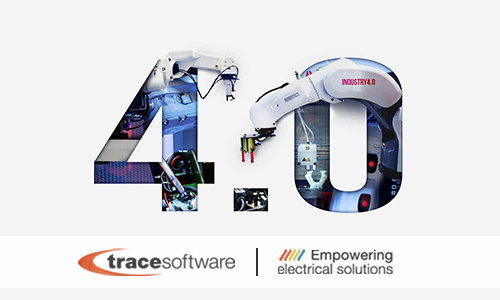 https://www.trace-software.com/wp-content/uploads/2018/11/What-is-Industry-4.0-By-Trace-Software-International.png 300 500 Rossana https://www.trace-software.com/wp-content/uploads/2015/04/logo-home-ts.png Rossana2018-11-12 15:12:262019-01-04 10:05:27What is industry 4.0?